Koei Tecmo have announced that the PS Vita port of Atelier Shallie: Alchemists of the Dusk Sea will be heading westward to North America and Europe on 17th January 2017 in North America and 20th January in Europe. In North America the limited edition will be the only way to get a physical copy, as was the case with the previous Atelier Plus release, Escha & Logy Plus. In Europe however, Koei Tecmo Europe have confirmed that a standard version will be available from retailers across Europe while the limited edition will remain exclusive to NISA Europe. Finally, Koei Tecmo Europe also confirmed that both the English and Japanese audio will be included on cartridge, which is notable as Escha & Logy Plus had Japanese audio available only as DLC. Burlingame, Calif. — October 19, 2016 — KOEI TECMO America proudly announced today the upcoming portable Plus version of 2015’s Atelier Shallie: Alchemists of the Dusk Sea, previously exclusive to the PlayStation®3 computer entertainment system. Set for a digital release on PlayStation®Vita on January 17, 2017, Atelier Shallie Plus: Alchemists of the Dusk Sea will allow players to experience the conclusion to the enchanting Dusk Trilogy on-the-go – packed with brand new content and plenty of new secrets to uncover! 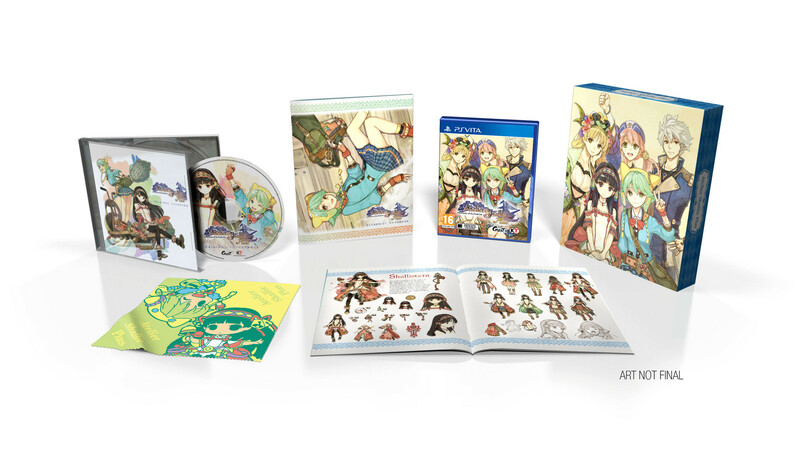 Atelier Shallie Plus: Alchemists of the Dusk Sea will also debut with a limited Collector’s Edition, available exclusively through NIS America’s online store. Inside the wonderfully illustrated Collector’s Edition box is a 48-page softcover art book, the original soundtrack featuring 30 tracks of in-game music, a 6” by 6” microfiber cloth depicting protagonists Shallotte and Shallistera and a physical copy of the game. Atelier Shallie Plus: Alchemists of the Dusk Sea offers a synthesist’s splendor of content, including brand new episodes for fans to further explore the swirling mysteries of the world of Dusk. 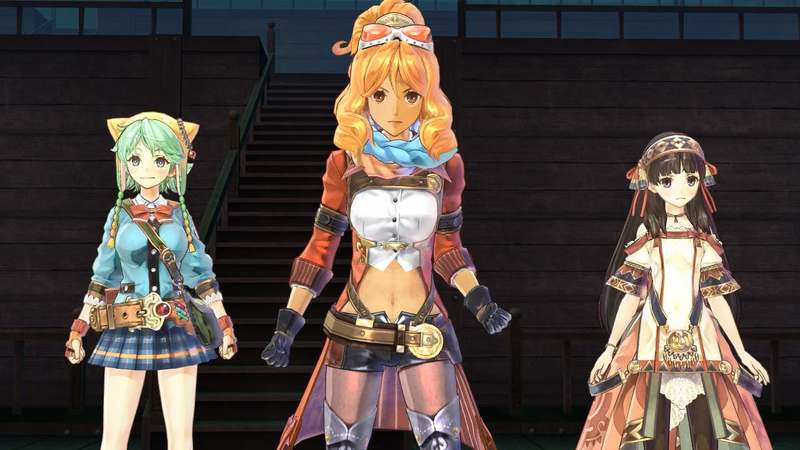 Combined with new bosses to challenge, PlayStation®Vita optimization features, further additions to character costumes that allow players to accessorize their favorite characters, a brand new message log feature, and all of the DLC released for the PlayStation®3 version, players will find that Atelier Shallie Plus is the perfect way to experience this acclaimed Atelier entry! A selection of screenshots showcasing Shallistera, Shallotte and the magical world of Dusk were released today alongside images of the Collector’s Edition to commemorate today’s announcement. For more information and to stay up-to-date on the latest news for Atelier Shallie Plus: Alchemists of the Dusk Sea, please visit the official website at http://www.koeitecmoamerica.com/shallieplus, Like KOEI TECMO America on Facebook at www.facebook.com/koeitecmous, and become part of the #KTfamily by following KOEI TECMO America on Twitter at @KoeiTecmoUS.